Once a nuclear power plant is permanently closed, the reactor’s machinery and other components will remain radioactive for centuries, and for some mechanical parts, even thousands of years. 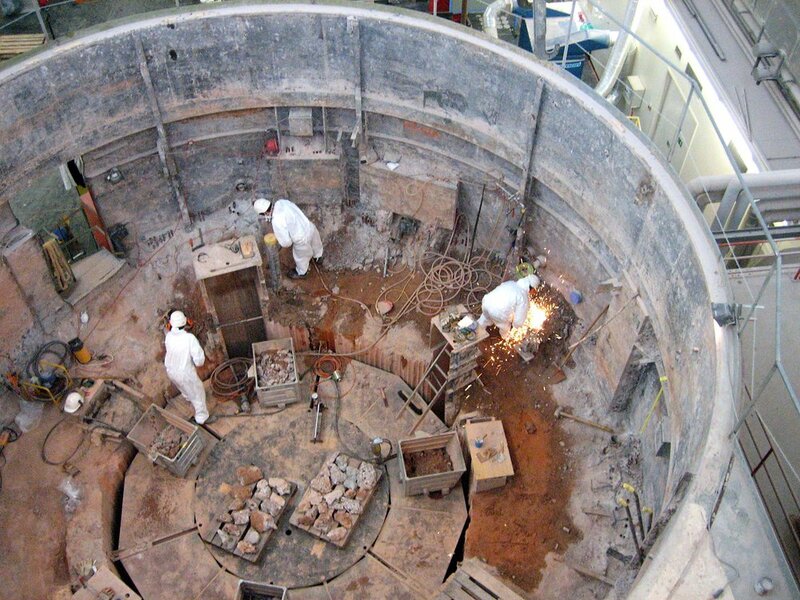 Decommissioning is the orderly process of dismantling the radioactively contaminated facility and removing the contaminated material to an allegedly isolated location where it will be buried in dirt near to the surface of dry ground; these industrial locations are usually called earthen landfills. In addition, to the radioactively contaminated mechanical parts, each atomic power plant contains hundreds of tons of extraordinarily radioactive spent nuclear fuel that will remain dangerous for as long as 250,000 years. After a nuclear power plant is closed, most people living near these atomic reactor sites are surprised to learn that moving this spent fuel and shipping it to a deep geologic repository is not considered to be a part of the decommissioning process. The atomic power sites apply to the Nuclear Regulatory Commission (NRC) to amended their license to store the spent fuel. 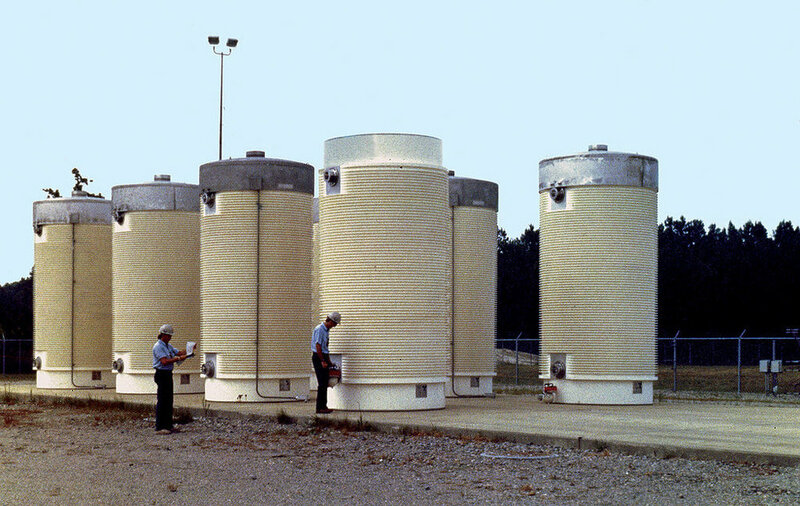 There is not final resting place for the spent nuclear fuel at any site. It is left on each individual site in storage (dry cask storage) that is overseen by the NRC. The cost of storing the fuel is borne by the Department of Energy (DOE). Most disturbing is that the spent fuel is so radioactive that it must be protected from terrorism and/or destruction for 250,000 years, the lifespan of such high-level radioactive waste. 1. First, extreme care must be taken to make sure that workers are not contaminated or exposed to radioactivity or chemical toxicity while the plants are disassembled. 3. During shipping and disposal special precautionary procedures must be practiced to make certain that any chemical or radioactive contamination stays at its ultimate disposal site and cannot contaminate a new location by traveling in the air, groundwater, rain, snow, or snowmelt. 4. Finally, it is critical that when all the material has been completely removed, the former industrial site is cleared for any usage by the public or by other industries. Equipment and techniques for decommissioning an atomic plant are frequently similar to those used during the removal of chemical contamination with one exception. Because it is impossible to see or smell radioactive contamination, and rare to taste it, special radiation montiors/detectors must be used at each atomic power facility in order to monitor plant personal, clean-up workers, the facility itself, and the surrounding environment. While a nuclear power plant is operating, money is set aside each year to pay for decommissioning and dismantling of the facility when it closes. These funds are called decommissioning funds or decommissioning trust funds. The cost of disassembling each atomic power reactor can exceed $500,000,000 ($500 million) by the end of its projected 40-years of operations. At least that is the amount of money needed for a planned, age-related, orderly plant shutdown, if there were never any major radioactive leaks on site. Procedures are entirely different when a reactor is forced to suddenly close from damage caused by a meltdown like that at Three Mile Island (TMI) or by human or mechanical failures that cause massive releases of radioactivity. Now, with 100-nuclear-plants scheduled to close during the next 20-years in just the United States (U.S) alone, decommissioning is suddenly an attractive and lucrative $50 Billion business that contractors from all over the world want to bid on. As with any business where large sums of money are involved, reputable and disreputable contractors are attracted to these dismantlement activities. Therefore, public participation and oversight of the decommissioning and dismantlement process are critical to ensure that safe decommissioning and dismantlement procedures are followed and actually completed. Such oversight and participation are essential to the former host communities, so that they are not left with unmitigated radioactivity migrating into the air, water table, adjacent rivers and streams, or contaminating any contiguous aquifers. One key area where public participation is required is the determination of how clean the land should be when the facility is removed. The Nuclear Regulatory Commission only requires that a contaminated site be cleaned to 25 millirem/year higher radiation than when the plant was built. A normal farmer’s field has exposures of approximately 100 mrem/year, so the NRC allows for 25% more contamination to remain in the ground after dismantlement. But the public can demand higher standards. “Greenfield” is the cleanest standard that has been publicly required and is normally considered 10 mrem/year while “light industrial” is a more contaminated standard of 15 mrem/year. Disreputable contractors have numerous ways to leave contamination behind in the soil while claiming to decommission an atomic site. Members of the Fairewinds Crew have personally reviewed data that misstates how much radioactive contamination is actually left behind on a site that regulators claim has been remediated. Rubblization, is a new process that the nuclear industry hopes to apply. 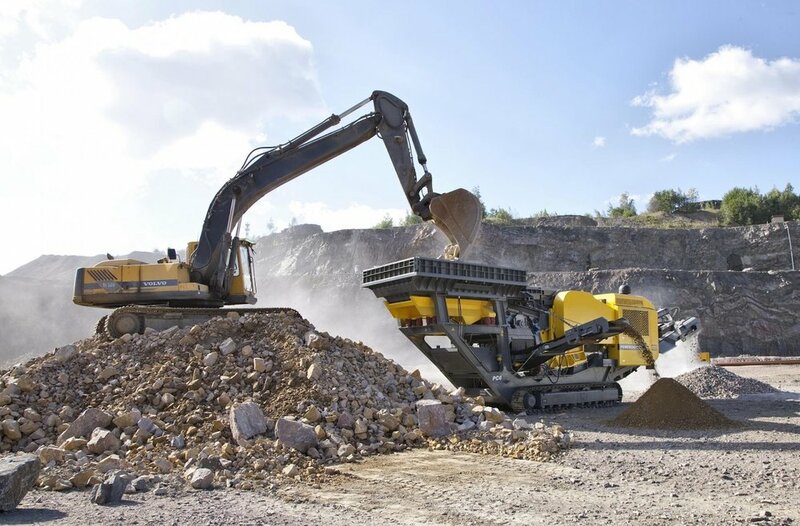 It is a mechanical process whereby large pieces of radioactively contaminated concrete are pulverized into smaller pieces of concrete in an attempt to lessen the concentration of radioactivity and down-blend the count of the radioactivity left on site. The rubblization process creates copious quantities of radioactive dust that will migrate off-site into surrounding communities via waterways (rivers, lakes, streams, oceans, and bays), via air – literally blowing in the wind – where the radioactivity is carried by the weather and disseminated by wind, rain, snow, and snowmelt. One of the reasons corporations hope to pursue this cheaper short-term solution process is that it allows highly contaminated concrete to be mixed with less contaminated concrete avoiding the regulatory scrutiny required if the more highly contaminated concrete and/or other materials are shipped offsite. Unfortunately, rubblization does not decrease the total amount of radiation in the material, and instead grinds up the contaminated concrete into thousands of smaller pieces while dramatically increasing the surface area available to interact with the surrounding soil and groundwater. The groundwater then will absorb or leach out radioactive isotopes from the rubblized material. Leaching of radioactive isotopes that had been trapped in the large blocks of concrete is increased when the surface area is dramatically expanded. Furthermore, alpha and beta particles in radioactive isotopes that normally would be trapped inside each large block of concrete can now enter the environmental dose pathway because the average range that they would travel now exceeds the size of the smaller particle they are attached to after rubblization. As for another key issue dealing with site restoration standards, State said the company wanted to adopt a standard for background radiation at the site of 15 millirems, significantly below the federal standard of 25 milirems. But several people questioned why it couldn’t be 10 millirems, the standard used at other decommissioned New England nuclear plants, such as Maine Yankee, Yankee Rowe and Connecticut Yankee. State also said his company planned on restoring the site to a “light industrial standard,” and not one that would be used for residential use. If light industrial dose standards are applied, the process of rubblization would make it extraordinarily difficult for any nuclear site to meet residential greenfield standards afterward. According to the Rutland Herald article, Mr. State said that his company does not plan to meet residential greenfield standards but rather “light industrial standards”. In order to meet light industrial standards, humans are allowed shortened occupancy times on site and growing of farm crops is not allowed. Changing from the greenfield standard (residential) to “light industrial” would allow the site owner to leave more radioactivity on the contaminated site. The “light industrial” dose calculations imply that individuals will spend significantly less time on the site. Thus the light-industrial standard a very different model than the greenfield paradigm. The cleanup of any site to residential greenfield standards is a much stricter regulation that not only is more adaptable to different uses, but is the safest methodology to assure that the leaching and migrating radioactive isotopes are thoroughly eradicated or somehow permanently contained.